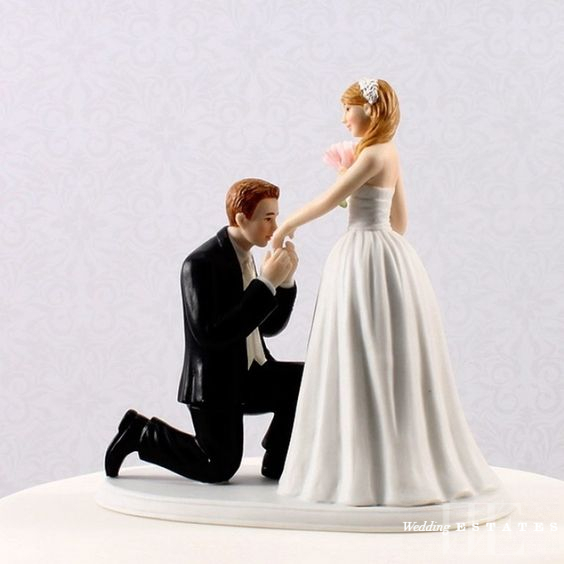 Every wedding cake topper varies from couple to couple. Often times, we see couples choosing something that holds significance to both of them. However, there are also times when couples don’t have a wedding cake topper at all. So, how do you know what you want for your topper, or, what’s even popular this year? Currently we’ve been seeing less traditional wedding toppers and even cakes! These are the best toppers and often times a great way to get a glimpse of the couples humor. Funny toppers are an easy to make, and everyone gets a kick out of them. After all nothing is better than having a little bit of humor on a very serious day. Funny is a great way to go, but if you’re more traditional then you might want something like this. Going with a romantic topper is very classy and pretty. 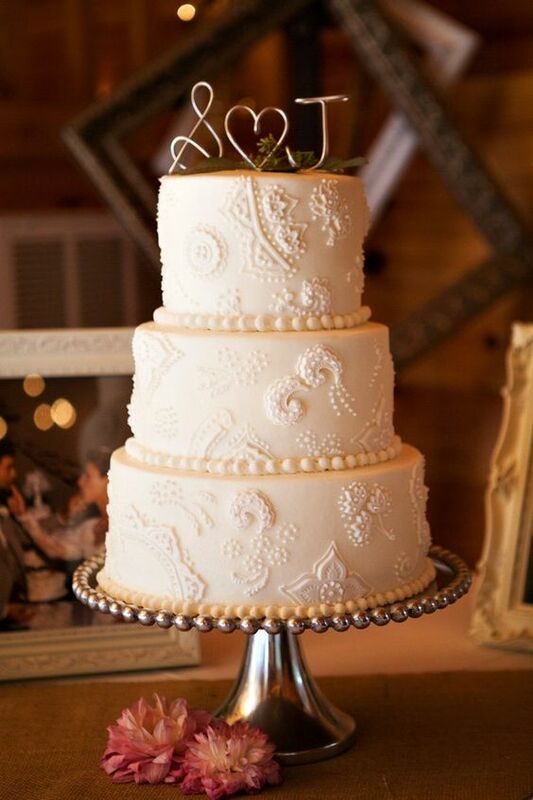 Make sure to get a good photo beside your cake doing the same pose as your wedding cake toppers! 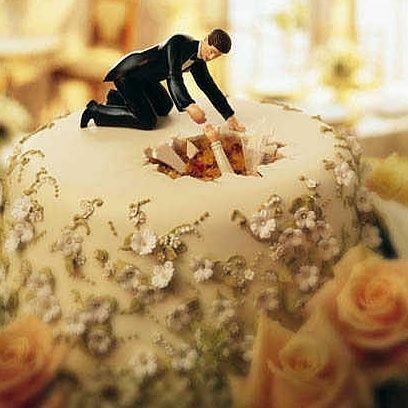 In fact, you can even design your topper the same as your dress and his suit, making for the perfect, realistic photo. Romantic is beautiful, but what about simple? Wedding cake toppers don’t have to be little dolls or people at all. The great thing about weddings is that you can customize every aspect to what you want as a couple. For instance, these simple toppers are easy to buy or even make when you do it yourself. Adding your initials is cute, or even a simple saying that you both love can work! Who says you even need a wedding cake topper? 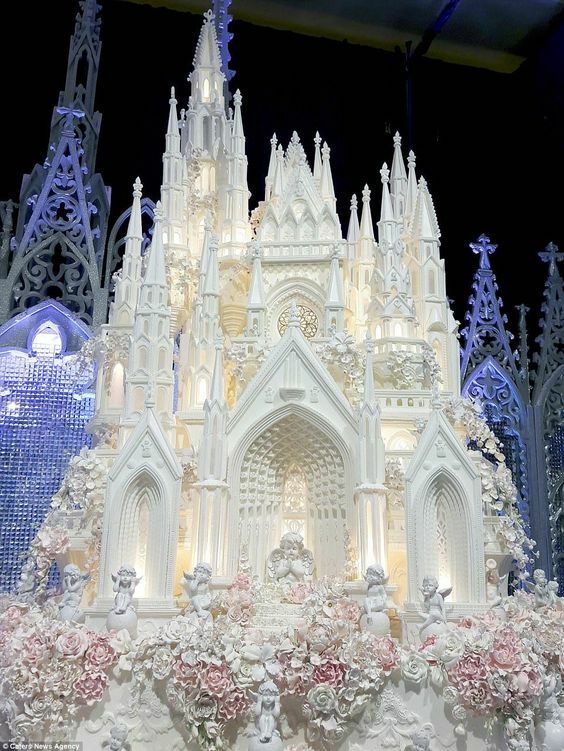 The newest wedding cake trends are these extravagant cake castles! When you get a castle cake there really is no room for a wedding cake topper, nor do you really need one! So, if you’re not interested in a wedding cake topper, then don’t worry about it However, you wedding cake should be beautiful to make up for the missing topper. 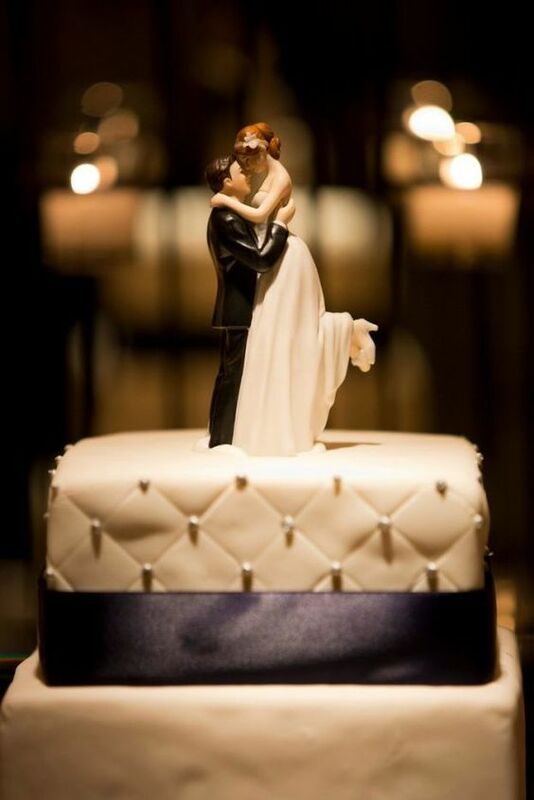 Whichever option you go with your wedding cake topper will truly be one of a kind to you and your future Mr. / Mrs. In conclusion, don’t be afraid to show your style, humor, or love through your topper!